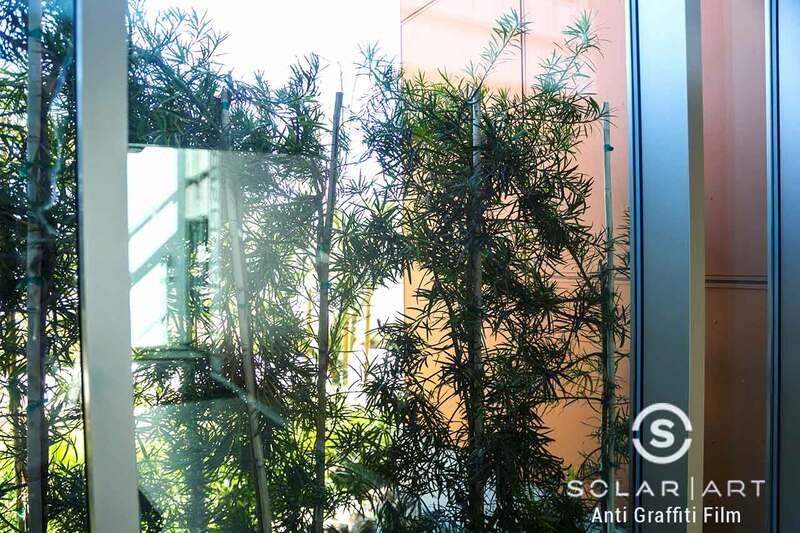 Solar Art recently installed Madico anti graffiti film in Santa Ana, California to Samueli Academy. Samueli Academy is a charter school that previously had graffiti film installed to the glass around campus. The customer contacted Solar Art when their windows were vandalized. Luckily, the glass had anti graffiti window film installed and we were easily able to replace the film on the etched glass windows. The purpose of anti graffiti film for glass is to prevent graffiti or vandalism from ruining glass. Replacing anti graffiti film is a fraction of the cost of replacing glass. 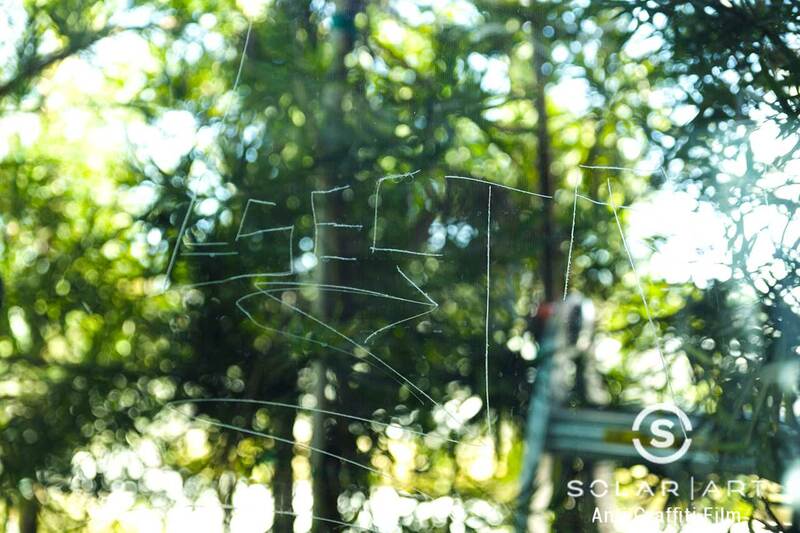 If a window has been tagged, Solar Art can remove and replace the graffiti film. Anti graffiti window film is an optically clear window film so that when it is installed, people won’t even know it is there and it won’t hinder with the aesthetics of the space. Anti graffiti film can be applied to both the interior and the exterior of a window. Storefront glass along with other glass surfaces that are exposed especially at a school, are the most common targets of vandalism. Anti graffiti film provides 99% UVA and UVB protection and also protects against fading. Graffiti film comes in a 4 mil and a 6 mil coating depending on the purpose of the film. Solar Art has installed graffiti film to several different surfaces such as mirrors, display cases, gas stations, escalators and more! It can be applied to both metal and aluminum surfaces. In highly populated and high trafficked areas such as San Francisco and Los Angeles installing anti graffiti film will save you money in the long run because you never know when vandalism is going to strike and you have to replace your glass. Interested in Anti Graffiti Film? Contact us directly to talk with us about Anti Graffiti Film! Get graffiti protection for your storefront or business with anti graffiti window film. Contact Solar Art today to learn more!